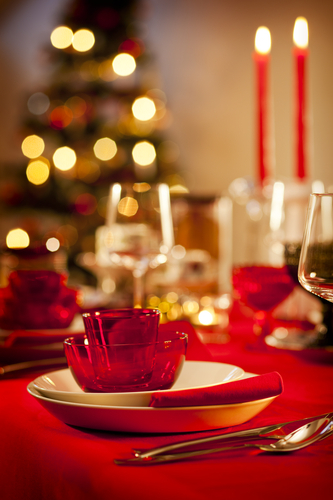 Good nutrition doesn’t need to take a back seat when enjoying some festive cheer! These ‘quick to make’ Xmas nibbles will wow your guests and protect your waist line amid the celebrations. Take two large handfuls of mixed nuts and seeds (sunflower and pumpkin). Toss in 2 tbsp soy sauce* and bake in a hot oven for 5-10 minutes, stir half way through. Cool then store in a glass jar and refrigerate. Rinse and dry 250g button mushrooms. Remove the stalks, place the mushrooms cup side up on an oiled baking tray. Preheat oven to 190 degrees. Add the stalks, an onion (peeled and chopped), 2 cloves of garlic (peeled) and one slice of wholemeal or GF bread to a food processor and blitz until the mixture resembles fine breadcrumbs. Add one egg and a large handful of grated cheese. Blitz again until combined. Fill the mushroom cups with the mixture and bake for 20 minutes. Serve hot or cold. Make a sauce out of 1 tsp grated ginger, 2 tbsp lemon juice, 3 tbsp dark soy sauce, 2 tbsp honey, 1 tbsp peanut butter, 125 ml water. Add to a frying pan. Dice 500g chicken breast and add to the pan. Simmer for 10 minutes, basting occasionally. Ensure the chicken is cooked through and remove to a dish. Reduce the mixture to the consistency of a thick sauce. Thread the chicken cubes onto cocktail sticks or small skewers. Baste again in the thick sauce and arrange on a serving platter. Wrap with a small slice of streaky bacon (without the rind- 250g). Secure with a cocktail stick. And finally for a healthy treat, check out our lower carb coconut & peanut butter cookies here.